This Day the Lord-Mayor and Court of Aldermen of the City of London, waited on his Majesty at St. James’s, to congratulate his Majesty on the Birth of the Prince, being introduced by his Grace the Duke of Grafton, Lord Chamberlain of the Household; and Mr. Baron Thompson, Recorder of the City, made their Compliments as followeth, viz. The Lord-Mayor and Court of Aldermen of the City of London most humbly beg Leave to congratulate your Majesty on the safe Delivery of her Royal Highness the Princess of Wales, and the Birth of another Prince. They rejoice, Sir, at every fortunate Event in your Royal Family which gives them an Opportunity of paying their Duty to your Majesty, and express that grateful Sense of the Many Blessings they enjoy under your Majesty’s mild and gracious Government, directed in all Instances by the Laws of the Land. As your Majesty’s true Concern for the publick Welfare and Prosperity induced your Majesty to approve of the happy Marriage which yields this most desirable Increase of your Royal Family, these your Majesty’s most faithful Subjects beg Leave to tender their humble Acknowledgements to your Majesty, upon this additional Prospect of the Continuance of their Felicity, of the Preservation of their Religious and Civil Rights, and of their remaining a free and happy People. 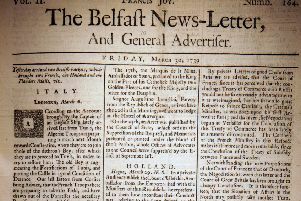 They presume to take this Occasion to repeat their Assurances to your Majesty of their most dutiful and affectionate Regard to your Royal Person, and their Zeal for the Support of your Government, and of their sincere and steady Attachment to the Protestant Succession in your Royal Family. His Majesty was pleased to make this most gracious Answer. I thank you for this loyal Address, and for the Satisfaction you express upon the Encrease of my Family. We hear that his Grace the Duke of Dowglas lies at the Point of Death, at his Grace’s Seat in Scotland. Prince Dolgorhury, the Empress of Russia’s Minister to this Court, landed on Sunday Night last at Dover, his Excellency having taken Paris in his Way, and this Evening he is expected in Town.